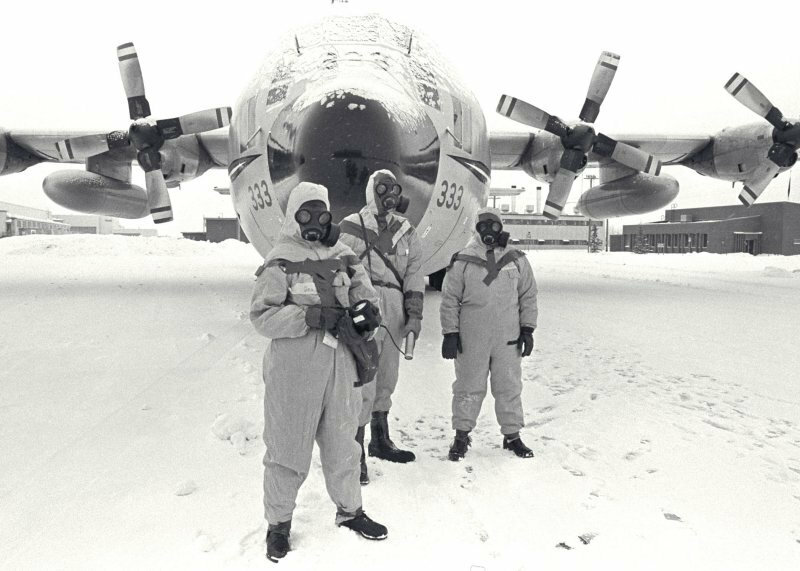 U.S. and Canadian forces, during cleanup of the Cosmos 954 radioactive debris (Source: Royal Canadian Air Force). It has been a month since Phobos-Grunt became stranded in its parking orbit around the Earth, and in spite of efforts by ground controllers with the support of the European Space Agency and NASA, the fate of the spacecraft has remained uncertain. That uncertainty is underscored by the lack of contact and an accurate understanding of the spacecraft’s exact operating state. However, with the withdrawal of ESA’s support to make further contact attempts, it is likely that the uncertainty surrounding Phobos Grunt will remain. The only certainty is that it will reenter the atmosphere within the next sixty days. The United States Strategic Command’s Joint Space Operation Command (JScOC) has been providing the Russian Federal Space Agency Roscosmos with tracking data pursuant to a transparency and confidence-building measure (TCBM) between the United States and the Russian Federation. The certainty that Phobos-Grunt will reenter the atmosphere brings with it further uncertainty. The odds are that debris from Phobos Grunt will land in the ocean, which officials from Roscosmos have speculated will occur. However, there is the chance that debris may impact land. This raises several concerns. For instance, there is a question of whether the large amount of propellant on the spacecraft is in a frozen or liquid state. If the propellant is frozen, there is the uncertainty whether it would survive reentry and spill upon impact with land and cause a significant damage. Of lesser concern is the small amount of Cobalt-57 on board for spectrometer, which was to analyze soil samples from the surface of Phobos. The amount of Colbalt-57 reported by Roscosmos is small; yet, the possibility of radioactive material potentially surviving reentry raises the specter of Cosmos 954, which crashed in the Canadian wilderness in 1979 spreading radioactive debris. The amount of Colbalt-57 bears scrutiny as a possible contaminant, even though is likely not even close to the amount of uranium fuel contained with Cosmos 954.. Another uncertainty surrounds the Yinghou-1 orbiter, which was built by the People’s Republic of China (PRC) and is mated to Phobos-Grunt. There is little technical data publicly disclosed concerning this spacecraft and seemingly little willingness by the PRC to volunteer any. It is unknown whether the spacecraft contains any potentially hazardous or radioactive materials that might survive reentry and potentially impact land. The question is: in light of the impending reentry of Phobos Grunt, will the PRC disclose technical details surrounding it spacecraft to clarify the uncertainty and allay concerns? As the time for the reentry of Phobos Grunt draws closer, the scrutiny surrounding the technical details of both spacecraft will increase. It would behoove both the Russian Federation and the People’s Republic of China to disclose the technical details surrounding their respective spacecraft not only in the spirit of international cooperation, but also to help mitigate the damage that might result from surviving debris from either or both spacecraft.